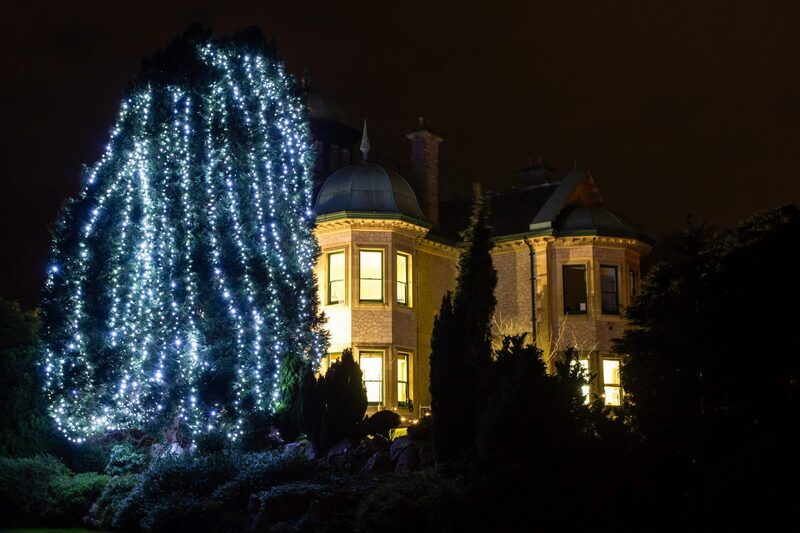 Rowcroft Hospice is inviting people across South Devon to celebrate the lives of those special to them this Christmas by taking part in its Light up a Life appeal. The appeal, which is happening throughout November and December, invites people to honour the lives of those they dearly miss while making a donation to Rowcroft, helping to support thousands of local people and families living with life-limiting illnesses. Last Christmas, Rowland Budd’s wife Suzanne was cared for at Rowcroft’s Inpatient Unit in Torquay. He said: “Suzanne came to Rowcroft in late November last year and we knew that she would receive wonderful care. “Christmas Day became her target for going home, but it became clear she wasn’t well enough so I stayed for the whole day and the hospice made the most amazing Christmas dinner for us. “Suzanne’s dearest wish was for snow at Christmas. I’d bought a snow machine years ago that the staff told me to bring in. They set it up on the roof so, as patients, families and nurses looked out of the windows, Rowcroft gave us a white Christmas. Light up a Life aims to raise the funds needed to support more families like Rowland’s, while giving people the chance to dedicate a light to someone they love on Rowcroft’s Tree of Light, situated in the hospice’s grounds and remember a loved one in Rowcroft’s Book of Light, which can be viewed online, and in a number of local venues and churches. Daniela Hopkins, Family and Friends Fundraising Manager for Rowcroft, added: “For many, Christmas is a season of joy and excitement but it’s also a time for people to remember, reflect and look to the future. As part of Light up a Life, Rowcroft is holding a number of celebrations in churches across South Devon, more details of which can be found at www.rowcrofthospice.org.uk/light. More information about how to make a dedication or donation to Rowcroft can also be found at www.rowcrofthospice.org.uk/light.